The Supervisory Board of VION Food Group has announced that Uwe Tillmann has stepped down as CEO and chairman of the Executive Board as from 3rd September 2012. With immediate effect, Dirk Kloosterboer, vice-chairman of the Executive Board of VION Food Group has taken over the responsibilities and tasks of Uwe Tillmann. In his new position, Dirk Kloosterboer will take charge of the accelerated and broader implementation of the strategic action plan recently announced by the company. This plan, aimed at helping recovery following disappointing results, was announced by VION on 15th June 2012. The Supervisory Board has issued a statement saying it has ‘every confidence that this adjustment to the management will ensure the successful implementation of VION’s strategic vision’. Dirk Kloosterboer, vice-chairman of the Executive Board of VION Food Group has taken over the responsibilities and tasks of Uwe Tillmann. Uwe Tillmann had been employed at the company since 2003. At that time he joined the Executive Board of Bestmeat Company B.V., subsequently VION N.V. Since 1st January 2010, Uwe Tillmann has been CEO and chairman of the Executive Board. 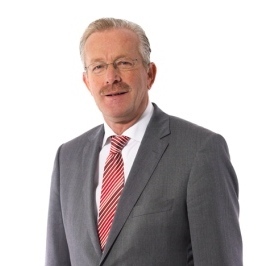 Dirk Kloosterboer, COO VION Ingredients has been vice-chairman of the Executive Board since 1st January 2010. Alongside Dirk Kloosterboer, the Executive Board now consists of Peter Beckers and Ton Vernaus, who the company confirm will work together to implement the strategic vision. VION’s turnover is €9.5 billion and the company employs 26,500 staff. VION is not a listed company and has only one shareholder; the Dutch Zuidelijke Land- en Tuinbouworganisatie (ZLTO), an agricultural and horticultural association with some 18,000 members.